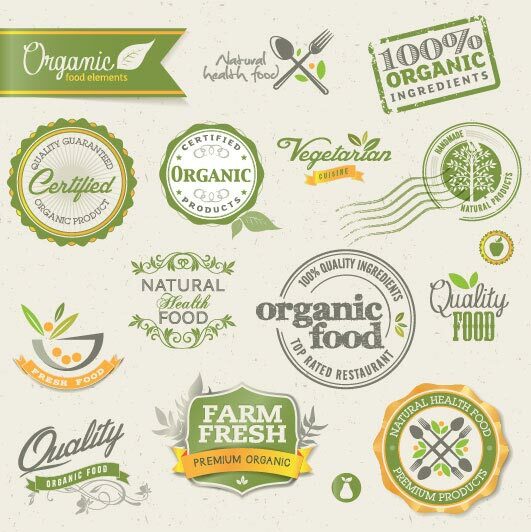 Labels and badges are very popular elements in modern web. If you are designing a retro design then it’s not complete without a vintage label. Badges are very powerful to use in promotional and marketing tactics. There are several areas where you can use them. If you have special offer or item on sale then badge is best to engrave in. If you are looking for some really cool and classic yet modern vintage labels and badges packs, then you reached the right place. 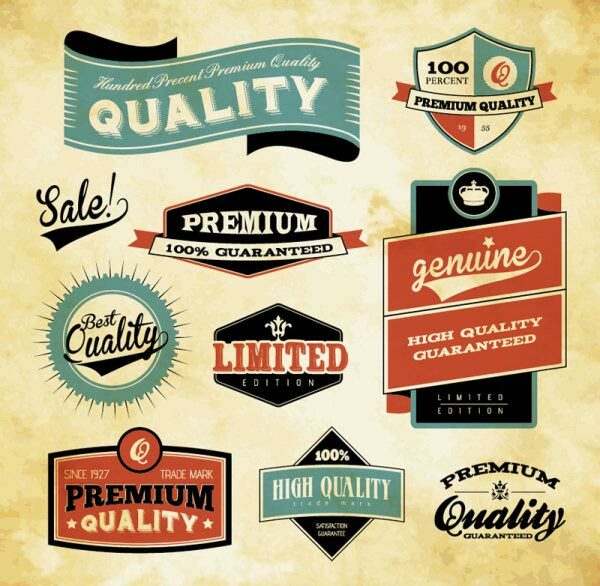 Below we have the collection of 10 vintage labels and badges packs which you can use for your website design, special offer, product packaging or any marketing tactics. Have a look! Premium Retro Design Badges has a set of 4 retro/vintage badges which is perfect for any promotional graphics or Call-to-action (CTA) buttons. These badges are made using Photoshop shape layers only, hence, these are fully scalable and easier to edit. 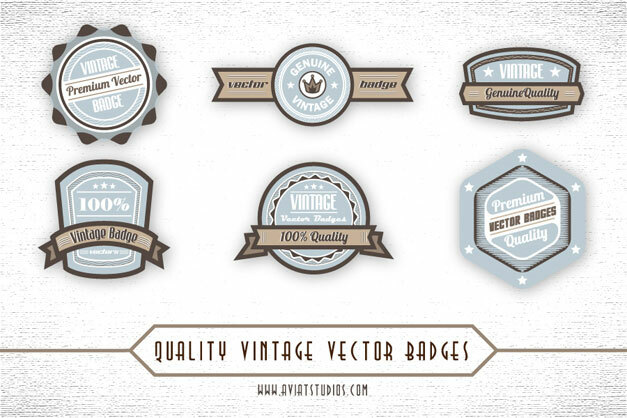 Blue and Brown Vintage Vector Badges are created by AviaT who always comes up with superb vintage vector badges. 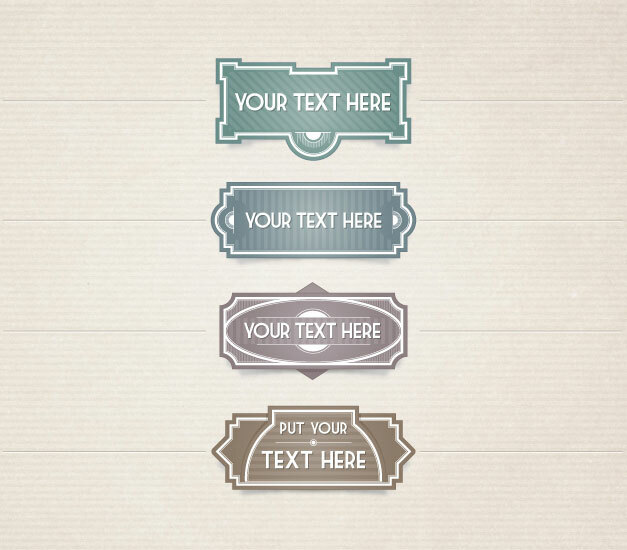 Vintage Vector Label Set is available here. 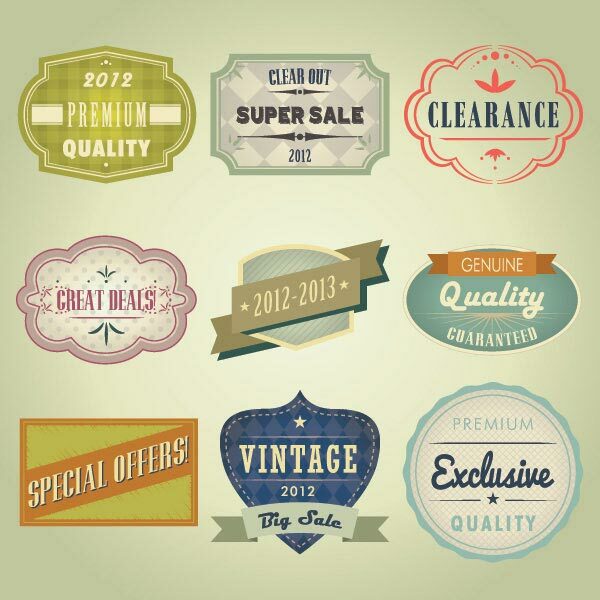 Colorful Vintage Vector Labels are amazing collection of 12 web badges vector, designed by youthedesigner, which are perfect for your any web design projects. Retro Vector Label Set is available here. 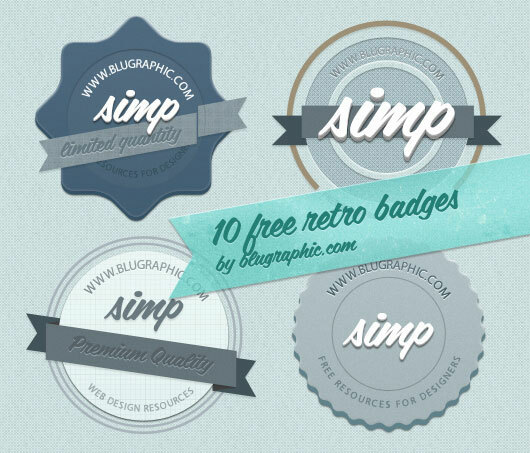 Blue Vintage Badges are designed especially for blugraphic fans with a blue theme color. Some of these are little flat while others have a bold 3d effect. You can use it for your any promotional and marketing tactics. Green and Yellow Vintage Labels are available here. 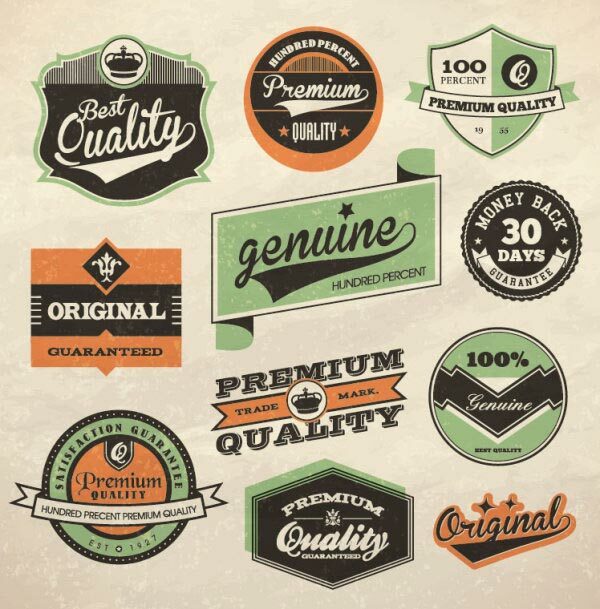 If you want to refine your design and give it a nostalgic look, then Retro Vector Labels are the one for you. 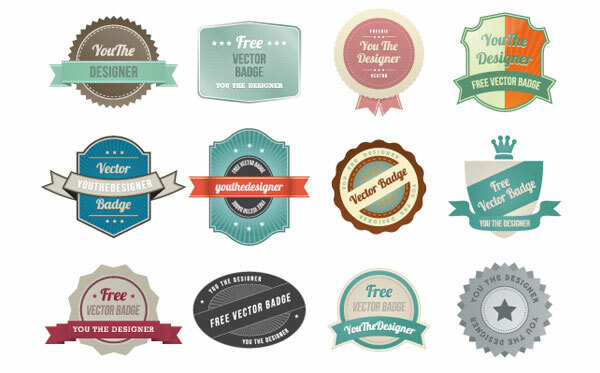 Vintage Design Badges are all vector graphics that come up in .esp file format. In order to open and modify this file, you will need a vector editing software such as Adobe Illustrator. 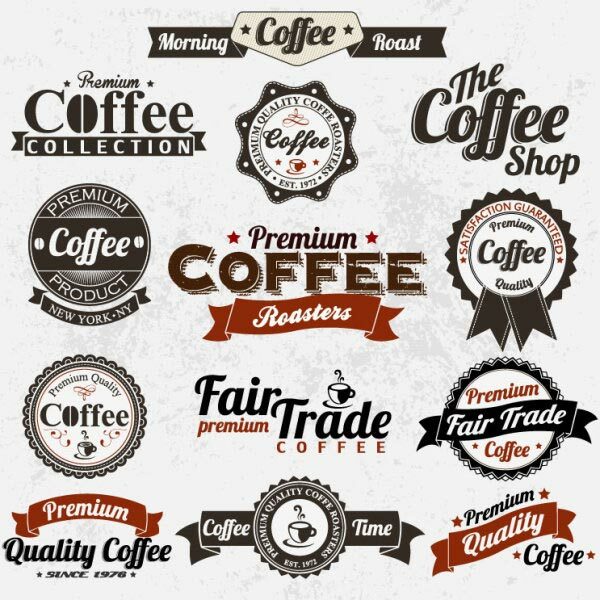 Vintage Coffee Labels and Design Elements are available here.